This study maps current understanding and research trends on the human dimensions of climate change (HDCC) in the eastern and central Canadian Arctic. Developing a systematic literature review methodology, 117 peer reviewed articles are identified and examined using quantitative and qualitative methods. The research highlights the rapid expansion of HDCC studies over the last decade. Early scholarship was dominated by work documenting Inuit observations of climate change, with research employing vulnerability concepts and terminology now common. Adaptation studies which seek to identify and evaluate opportunities to reduce vulnerability to climate change and take advantage of new opportunities remain in their infancy. Over the last 5 years there has been an increase social science-led research, with many studies employing key principles of community-based research. We currently have baseline understanding of climate change impacts, adaptation, and vulnerability in the region, but key gaps are evident. Future research needs to target significant geographic disparities in understanding, consider risks and opportunities posed by climate change outside of the subsistence hunting sector, complement case study research with regional analyses, and focus on identifying and characterizing sustainable and feasible adaptation interventions. The online version of this article (doi: 10.1007/s13280-012-0336-8) contains supplementary material, which is available to authorized users. This research was supported by Aboriginal Affairs and Northern Development Canada’s Climate Change Adaptation Program, ArcticNet, the Social Sciences and Humanities Research Council (SSHRC), Nasivvik Centre for Inuit health and Changing Environments, the National Inuit Climate Change Committee (NICC), and Inuit Tapiriit Kanatami. We would like to thank everyone who has contributed valuable input and supportover the course of this project. Specifically, Dr Scot Nickels, Martin Lougheed, Carrie Grable, and Eric Loring at Inuit Tapiriit Kanatmi; Dr. Trevor Bell and Philippe LeBlanc at Memorial University; Members of the National Inuit Climate Change Committee (NICCC), including Barrie Ford at the Makivik Corporation, John Keogak at the Inuvialuit Regional Corporation, Andrew Dunford at Nunavut Tunngavik Inc., and Tom Sheldon at the Nunatsiavut Government; Mary Ellen Thomas at the Nunavut Arctic College; John Lampe at the Nunatsiavut Government; April Colosimo, Jim Henderson, Maggie Knight, Tara Mawhinney, Will Vanderbilt, and Michelle Maillet at McGill University; Dr. Shari Gearheard atthe University of Colorado, Boulder; Jennifer Johnston at the Inuvialuit Regional Corporation; Dr. Gita Laidler, Carleton University; Froeydis Reinhart at the Government of Nunavut;Ross Goodwin at the Arctic and Science Technology Information System (ASTIS); and Amanda Caron at Arctic North Consulting. Berkes, F., and D. Jolly. 2002. 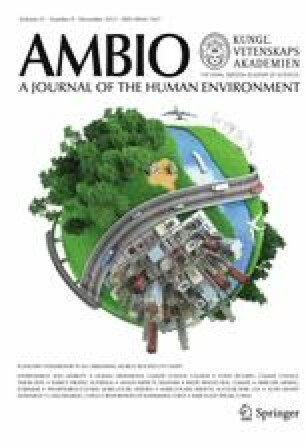 Adapting to climate change: Social–ecological resilience in a Canadian Western Arctic community. Conservation Ecology 5. http://www.consecol.org/vol5/iss2/art18/. Constant, P., L. Poissant, R. Villemur, E. Yumvihoze, and D. Lean. 2007. Fate of inorganic mercury and methyl mercury within the snow cover in the low arctic tundra on the shore of Hudson Bay (Quebec, Canada). Journal of Geophysical Research-Atmospheres 112. doi: 10.1029/2006JD007961. Dery, S. J., M. A. Hernandez-Henriquez, J. E. Burford, and E. F. Wood. 2009. Observational evidence of an intensifying hydrological cycle in northern Canada. Geophysical Research Letters 36. doi: 10.1029/2009GL038852. Ford, J.D. 2009a. Dangerous climate change and the importance of adaptation for the Arctic’s Inuit population. Environmental Research Letters 4. doi: 10.1088/1748-9326/4/2/024006. Ford, J.D. 2012. Indigenous health and climate change. American Journal of Public Health. doi: 10.2105/AJPH.2012.300752. Ford, J.D., and T. Pearce. 2010. What we know, do not know, and need to know about climate change vulnerability in the western Canadian Arctic: A systematic literature review. Environmental Research Letters 5. doi: 10.1088/1748-9326/5/1/014008. Lardeau, M., G. Healey, and J. D. Ford. 2011. The use of photovoice to document and characterize the food security of users of community food programs in Iqaluit, Nunavut. Rural & Remote Health 11. http://www.rrh.org.au/publishedarticles/article_print_1680.pdf. Lesnikowski, A., J. D. Ford, L. Berrang-Ford, M. Berrara, and J. Heymann. 2011. Adaptation to health impacts of climate change: A systematic study of UNFCCC Annex I countries. Environmental Research Letters 6. doi: 10.1088/1748-9326/6/4/044009. Nancarrow, T. L., and H. M. Chan. 2010. Observations of environmental changes and potential dietary impacts in two communities in Nunavut, Canada. Rural & Remote Health 10. http://www.rrh.org.au/publishedarticles/article_print_1370.pdf. Pearce, T., J. D. Ford, A. Caron, and B. Kudlak. 2012. Climate change adaptation planning in remote, resource-dependent communities: An Arctic example. Regional Environmental Change. doi: 10.1007/s10113-012-0297-2.